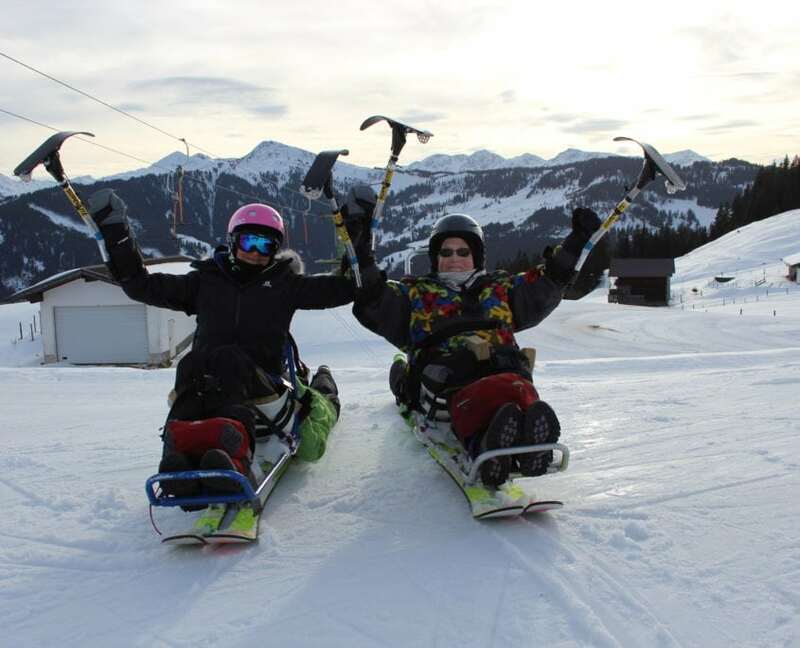 Adaptive ski lessons are enabling more people to participate in snowsports with the greatest possible level of independence. These lessons enable those with sensory, cognitive or physical disabilities to enjoy the thrill of skiing. Our adaptive ski lessons are tailor-made for each client, as we know everyone has differing needs. Our experienced instructors provide unique tuition, guiding, and equipment to give each skier as much independence as possible. We assess our skier’s needs as well as any medical requirements prior to arrival. 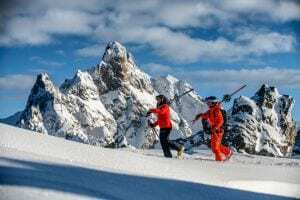 These are taken into consideration when planning our lessons and routes, and appropriate equipment is chosen for both comfort and the skier’s independence. Ultimately, we take the greatest care in ensuring the most comfortable and stress-free experience for our skiers and their friends and families. Using our understanding of your individual requirements we’ll tailor your lesson or experience to deliver the support you need. Our role is to help break down barriers and help you make the most of your holiday. Our adaptive lessons aim to do just that. If you’re not sure what options are available, or how we can help you enjoy the most of the mountain, please get in touch. We’d love to help! Our adaptive programme is tailor-made to your needs, aspirations, and ability. We are flexible on the duration and scheduling of the lesson. Some of our clients have come to ski with us for long weekends, others for over a week. 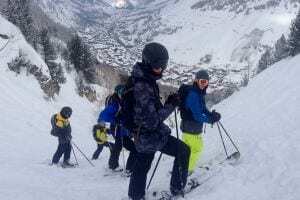 Alternatively, our instructors are also here for you if you’re already an experienced skier and would like a shorter period to brush up on your technique. Get in touch with out team to discuss your requirements and our availability. We believe that the American style adaptive equipment provides the greatest level of independence for our skiers. The most common of these pieces of equipment are called the mountain man, bi-unique, and mono-ski which we would be happy to discuss in further detail with reference to your ability. 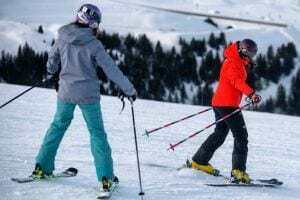 Even if our client has a low level of movement, they are able to have control over the functioning of the ski, and the satisfaction honestly radiates from the skier, family, and instructor.